unearthed by Brady, where a naturally brown stag, stands under a similarly naturally coloured, oak tree, with leaves and surrounding grass, set against a field of gold. 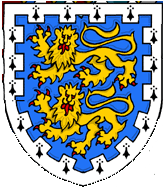 Maybe the latter colour reflects the county’s “Royal” status owing to the presence there of Windsor Castle? The flag received was supported by twenty-four local organisations plus the Lord Lieutenant of Berkshire, James Puxley. 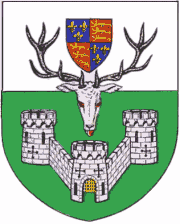 Berkshire’s traditional hart and oak refer generally to the forestlands of Berkshire and specifically to the legend of a late 14th century royal huntsman named Herne The Hunter, whom legend holds hanged himself from an oak tree after being ejected form the King’s service as a result of machinations by jealous rivals. The tale states that the tree was subsequently struck by lightning. The hart (stag) is “one of the manifestations of his restless spirit” and, according to Michael Drayton’s poem of 1627, a banner with this badge, or something very like it, was carried by the men of Berkshire at the Battle of Agincourt “Barkshire a Stag, vnder an Oake that stood,”. 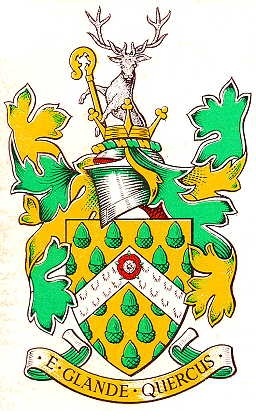 where the hart and oak featured as a crest. A total of twenty four county organisations supported the design whihc was officially unveiled at the Berkshire county show in Newbury, on September 17th 2017. There was a simple badge used on school books and Scout uniforms? 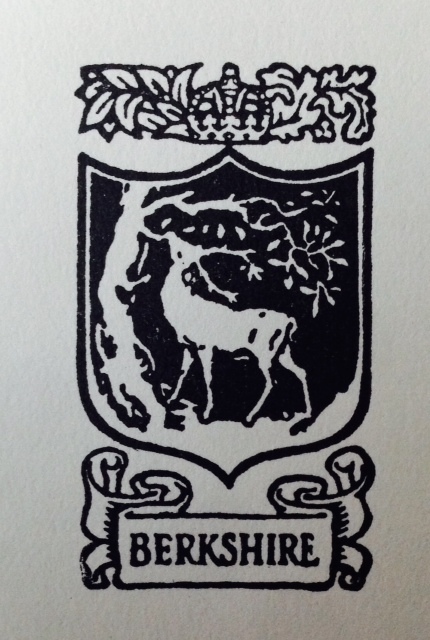 I remember it was a simple outline of the Stag and Oak. Has anyone have a copy?